The recreation site is closed due to wildfire activity in the area. Site Description:This is a small walk or ATV into campsite along the lake shore. The hill up to the site is a bit challenging but it is worth it to get to the lake. 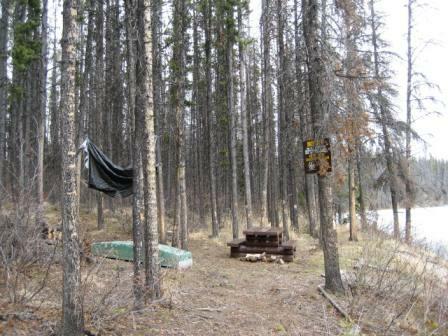 Small campsites and toilet located at the lake, great for tenting. Driving Directions:From Nazko, take the Michelle Bazekeo Road to the 19km mark, stay left onto the Bazekeo road to the 16km board, turn left onto the side road for 1km, trail head is on the left.